onto….others have a wire keeper that once the bait is slid on the hook it penetrates the bait preventing it from sliding down …. 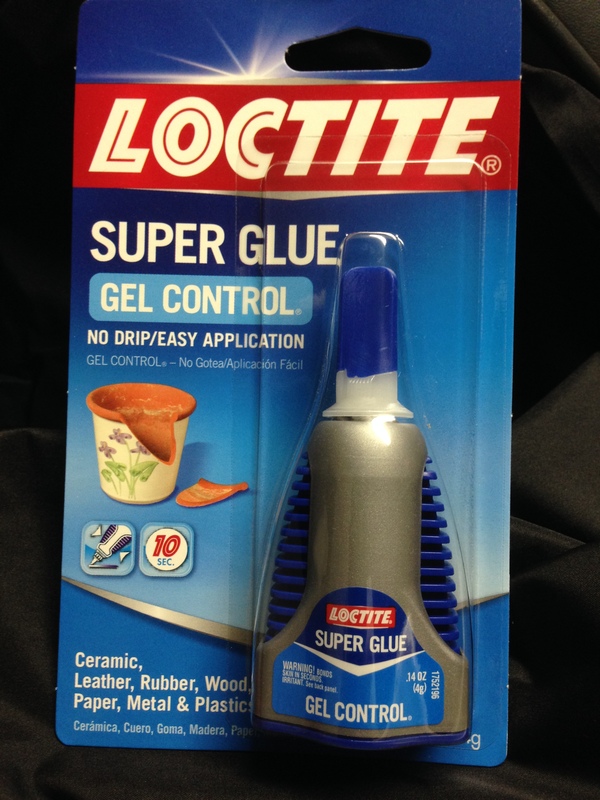 & my favorite has always been super glue. 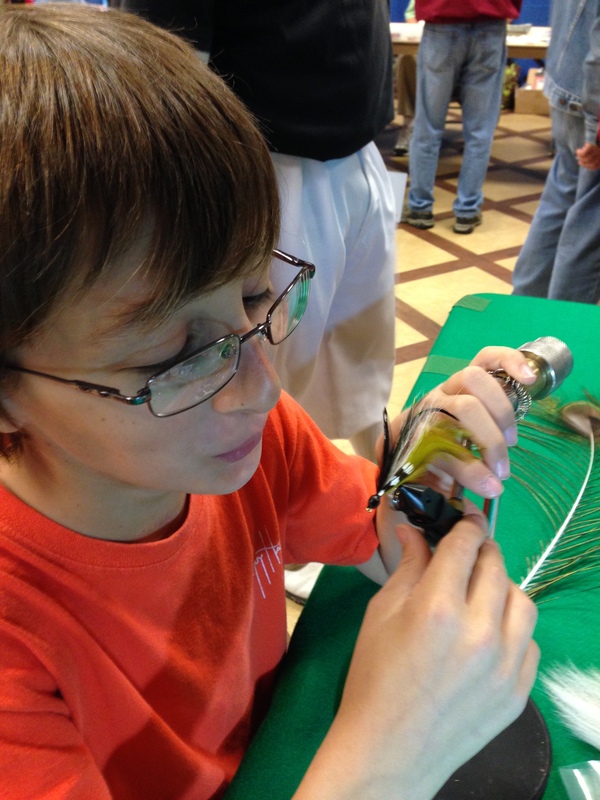 I’m not a fly rod guy but here’s a young man that learned to tie flies at the ripe old age of 10…. Troy has been tying for 2 years now and is a natural…. I wouldn’t know a muddler minnow from a grasshopper but Troy can create anything your imagination desires. My partner at the Expo, Randy DiSanto, asked him to tie a couple flies for him. Troy was amazing & it was great to see him carry on a tradition. My catching results and others recently have been “slim pickins”….It’s crazy because 1 day I’ll whack em & the next day ???? Here’s a 2.5 lbr that ate a fluke the other morning. That was my largest of the day. I managed to scrape up 8 or so waiver fish 12-14″ in a few hours & that was it. On Feb 24 a small bass club held a tournament on Lake Rousseau. 19 bass weighed….1st place was 5 that weighed 6.55 lbs. 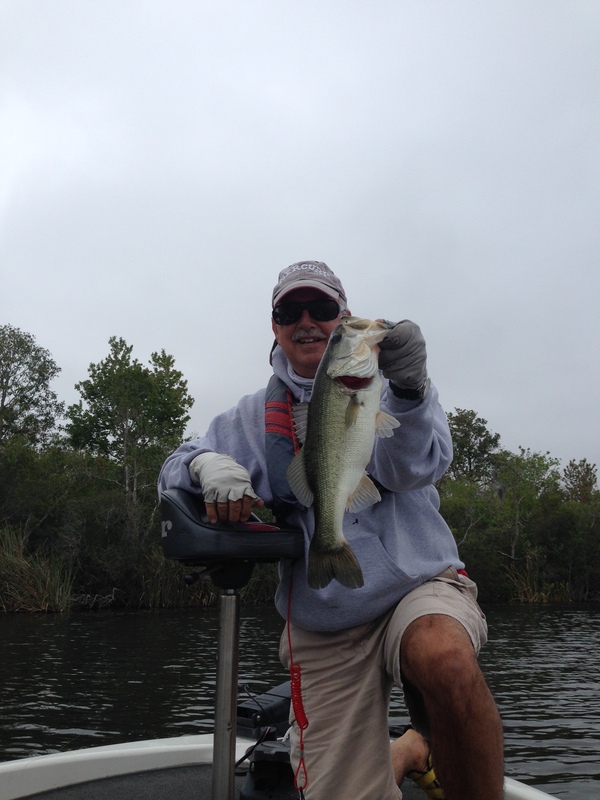 BIG BASS was 5.92…. Mar 2 I got a report from Hernando…. the angler crawled his way out thru the fog only to get blanked after 4 hours….this writer caught 1 small keeper and several waivers the same day. There wasn’t a puff of wind. Normally I start late so there’s a breeze because I’ve seemed to always do better when there’s wind. I was on Harris. Saw water temp up to 69.7. 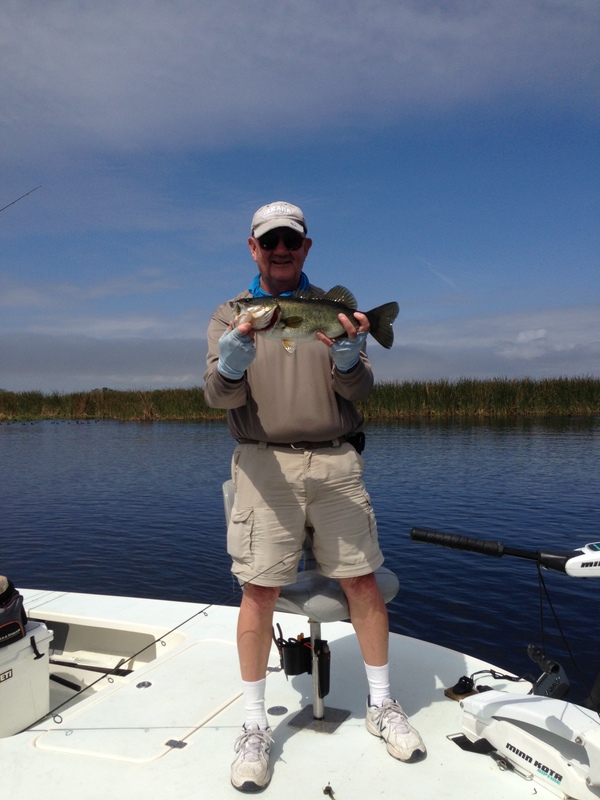 Here’s a friend Don Millich holding a 2 1/2 lbr that he caught on a fluke….does this sound familiar?? ?He’d been on the water since dawn & said he’d caught 18-20 with the largest going 3.5 lbs. My equipment woes have been a real PIA. It all started with a 10 month old 3 bank battery charger that failed…. 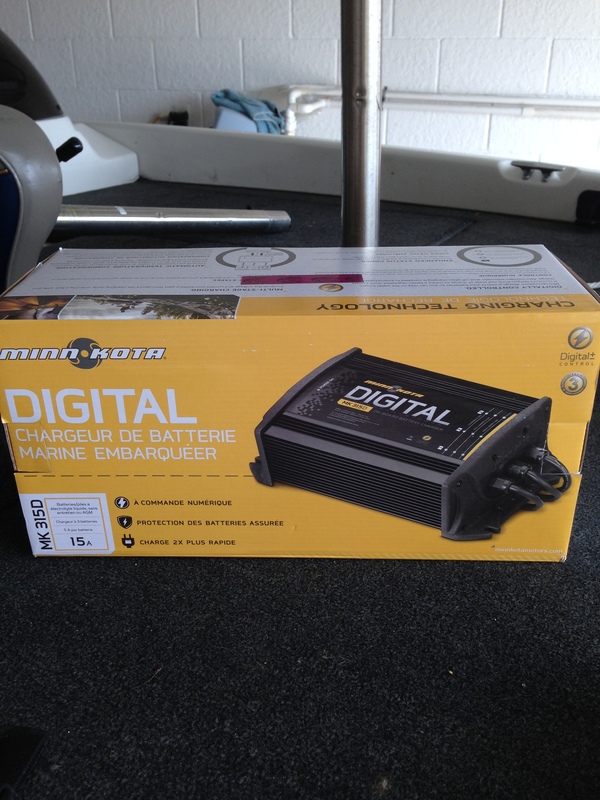 2 yr warranty so I exchanged it for the same item…. after installation the NEW charger failed to shut down after supposedly charging….The factory tells me that the new charger didn’t recognize the batteries so go ahead & plug it in over night & call us back if there’s no change…..well guess what – no change – I didn’t call them back but returned the charger & bought a DIFFERENT BRAND….came home & installed it…. 4 hours later all 3 batteries were showing green indicating fully charged….I wish my catching rate matched the newest charger rate. Then again at my age if I can recharge in 4 hours it’s gotta be good.